For me, the advent of summer in London is marked by two things: a glass of Pimms and The Royal Academy of Art’s Summer Exhibition. This year, summer got under way on Wednesday, 4th June as leading figures in art, entertainment and fashion mingled in Burlington House, Piccadilly for the Summer Exhibition Preview Party. This is the world’s largest open entry exhibition. It has been running uninterrupted since 1769 - almost 250 years! Inventions such as the bicycle, transistor, electro-magnetic induction ring, computer, germ theory of infection, radio, internet, internal combustion engine, nuclear power, communications satellite and even light bulbs have dramatically changed the fabric of our everyday existence. Nine British monarchies, 43 US Presidents and 50 British Prime Ministers have ruled. Yet, the foundation of the Summer Exhibition remains unchanged. Anyone can enter their work. 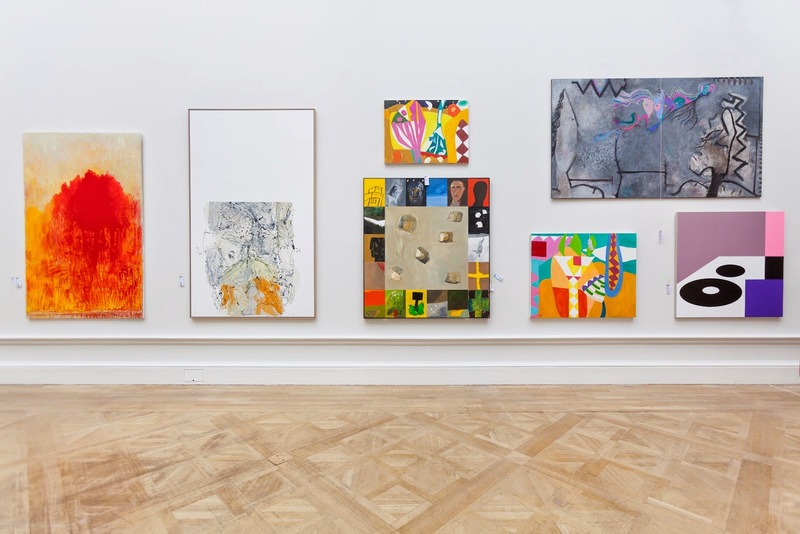 Co-ordinated by Hughie O’Donoghue, 2014’s selection and hanging committee was made up of the artists and architects Eileen Cooper, Gus Cummins, the late Richard MacCormac, John Maine, Chris Orr, Cornelia Parker, Eric Parry and Emma Stibbon. The committee are ‘servants to the submissions’. Their challenge is to ensure each work looks its very best whilst ensuring the relevance of The Royal Academy. This year saw the first ever digital submission, with over 12,000 entries! The hanging and selection committee work together to select works by both emerging and famed contemporary artists in three stages. Those shortlisted were soon subject to scrutiny at the Academy. Then, whilst making the hang, the final cut of about 1,200 works was made. O’Donoghue describes the selected pieces as combining to create ‘a wild garden, an exotic place where things surprise you and grab your attention’. Such contrasts occur throughout the show. Just step into the room hung by Cornelia Parker. Black and White in theme, her desire was to create a ‘visual firebreak’ amongst the exhibition’s ‘riot of colour’. Dotted between works by previously unknown artists, you can spot a new pair of paintings by David Batchelor, a vitrine full of black and white drawings by Alison Turnbull and a billboard by Bob and Roberta Smith (Patrick Brill). A further billboard by Bob and Roberta Smith is on display. Inspired by Eddie Mair’s interview of Dr David Nott on New Year’s Day 2014, it details Nott’s efforts to save lives in Syria. Measuring almost five by four metres, the transcript is hand-painted and took nearly five months to complete. 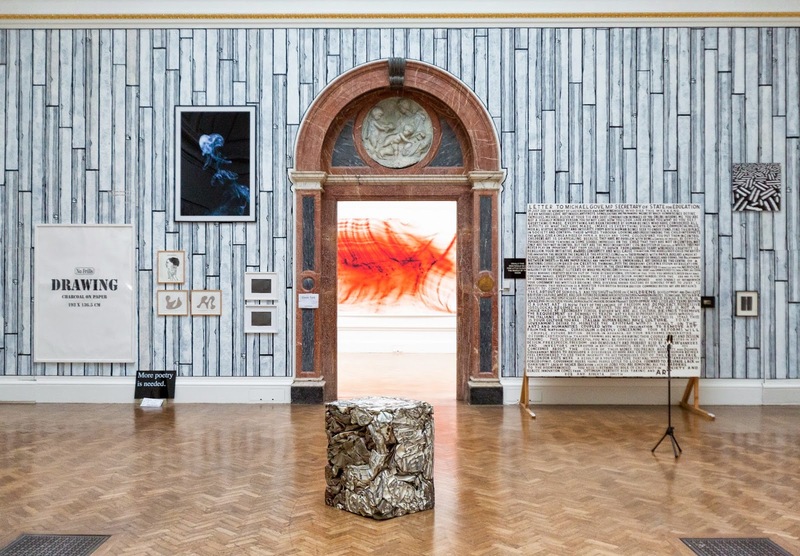 Over the last year, ten new Royal Academicians were elected. In recognition, their work is displayed in the prestigious position of the Wohl Central Hall. It is the first room the viewer comes across, and is also visible from various other rooms. The latest generation of Royal Acadamicians is comprised of Thomas Heatherwick, Neil Jeffries, Chantal Joffe, Tim Shaw, Conrad Shawcross, Yinka Shonibare MBE, Bob and Roberta Smith and Wolfgang Tillmans. 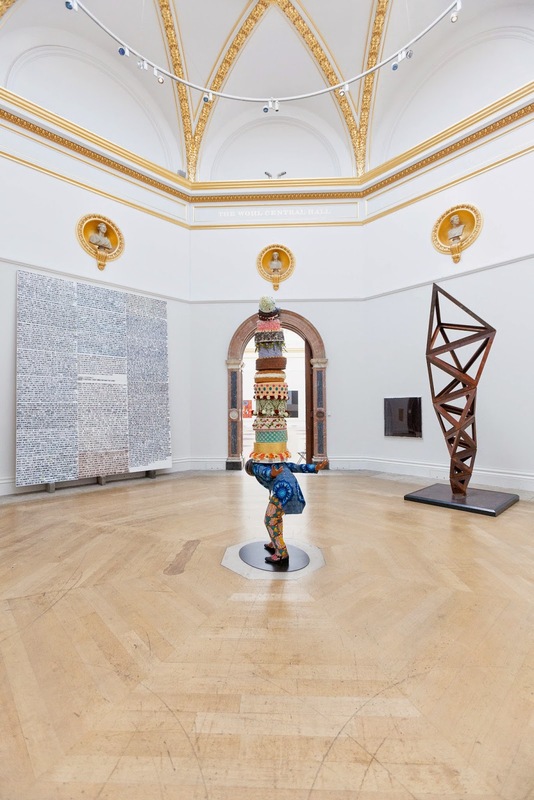 Newly elected Honorary Academicians are El Anatsui, Marlene Dumas and Rosemarie Trockel. Shonibare reflects that these artists were, until recently, thought of as ‘enfants terribles’… whereas they are now considered ‘as part of the establishment’! Indeed, the sheer variety of work exhibited is testament to how Art has developed. Initially, only easel paintings and plinth-based statuary was displayed at the Summer Exhibition. Once criticised as being ‘out of touch’, the establishment itself has also transformed. The Royal Academy of Arts Summer Exhibition is open from 9th June — 17th August, Main Galleries, Burlington House, London.